Porta Romana frieze, late 12th Century. Sforza Castle Museum, Milan, Lombardy, Italy. Click for a wider image of the Return of the Milanese on the Porta Romana frieze. 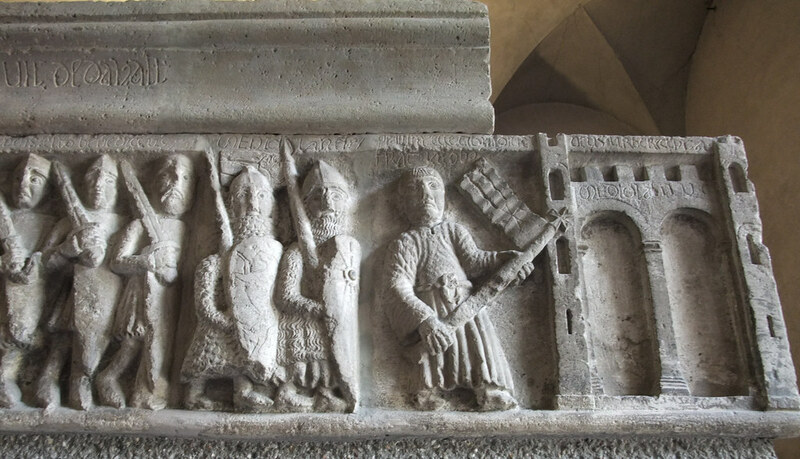 The portion of the Porta Romana frieze showing the exile of the Milanese in 1167. Sforza Castle Museum, Milan, Lombardy, Italy.